This recipe is typical to Puglia, a region in the heel of Italy which I visited in October 2013. You can read about my Puglian adventures here. I was shown this recipe by a lovely lady called Francesca in Puglia. 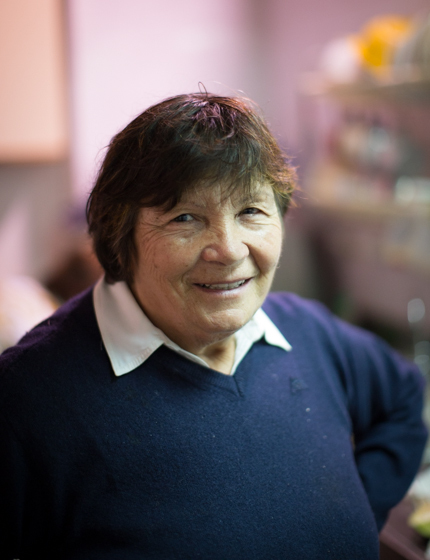 Francesca used to be an English teacher, she’s now retired and is opening her home to teach people how to cook regional food. Francesca grows her own vegetables, makes her own olive oil and even produces her own wine (which we drank that night). It’s a great example of how rural tourism can give you a real insight into the day-to-day lives here – how it must have been for hundreds of years. Wash the aubergine and cut into slices. Sprinkle the slices with salt and leave to rest in a colander for 30minutes. Rinse the aubergine slices so that all the salt is removed. Pat dry with kitchen towel. 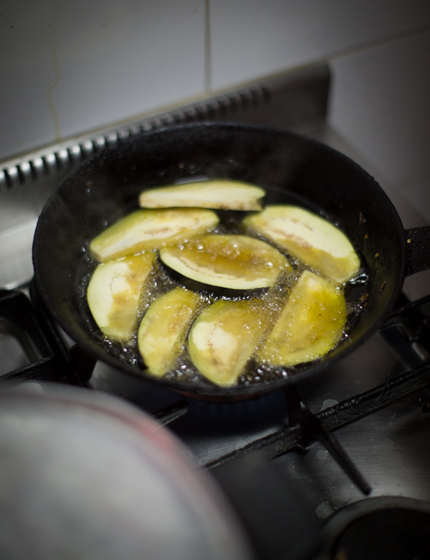 Heat enough olive oil in a frying pan so that it covers the entire base. 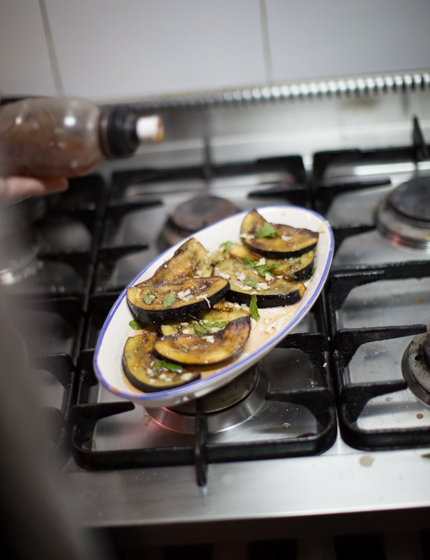 Fry the aubergine slices in batches for a few minutes, turning them once, until completely soft. Put onto absorbent kitchen towel to soak off the excess fat. Transfer onto a serving plate, drizzle with vinegar and season with salt and pepper. Repeat with the remaining aubergine slices. Peel the garlic clove and cut into very thin strips. Sprinkle over the aubergines. 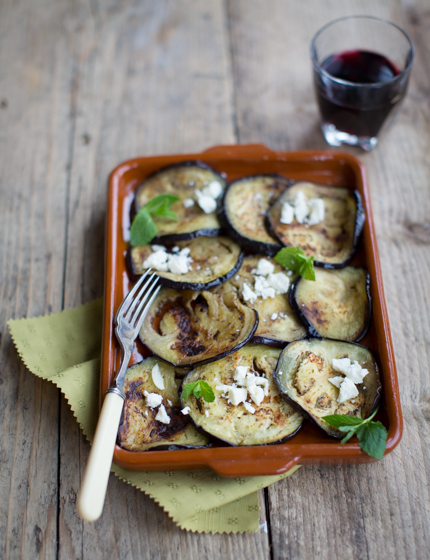 Before serving: crumble the feta over the aubergines and sprinkle with some fresh mint leaves. Eat warm or cold, serve with crusty bread. Quelle bonne surprise que la découverte de “Anne’s Kitchen” , j’aime beaucoup. Je vous regarde à la télévision présenter toutes vos bonnes recettes. C’est clair, net et précis. Merci villmols fir alles die gut recetten.